Filled system temperature measurement systems have been mostly replaced in new facilities with electronic measurements based on thermocouples or RTD’s. A liquid will expand or contract in proportion to its temperature and in accordance to the liquid’s coefficient of thermal/volumetric expansion. An enclosed liquid will create a definite vapor pressure in proportion to its temperature if the liquid only partially occupies the enclosed space. 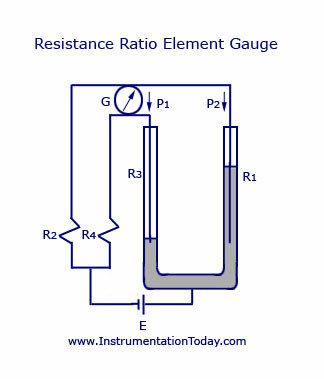 The pressure of a gas is directly proportional to its temperature in accordance with the basic principle of the universal/perfect gas law: PV = nRT where P = absolute pressure, V = volume, T = absolute temperature, R = universal gas constant and n = number of gas particles (moles). 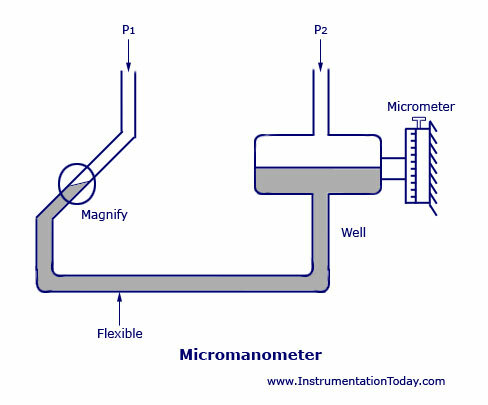 All filled-system temperature measurement instruments consists of a bulb, connecting tubing known as “capillary,” and a pressure sensing element, usually a bourdon tube. All commercially available filled system thermometers have been classified by ASME B40.200 (ASME B40.4). The standard classifies filled-system thermometers by the type of fill fluid used (liquid, vapor, gas) and further subdivided by the type of temperature compensation. The different types of filled systems are identified by “Class Numbers”, ranging from 1 through 5, refer ASME B40.200 for more details. The bulb volume varies over a range of 100 to 1 depending on the fill fluid, the temperature span, and the capillary length. Long bulbs give an average temperature and are sometimes used in stretched-out form for gas ducts. Different bulb materials are available. However when used with a Thermowell, standard material such as copper, bronze, or stainless steel can be used. In case atmospheric corrosion, Stainless steel is preferred. If a well is not used (not recommended), the bulb must suitable for process fluid. Capillary tubing is small-diameter tubing, usually of stainless steel. Armor should always be specified not to provide only mechanical strength but also distinguish with other tubing. Armor material shall be stainless steel. However in a corrosive atmosphere, the armor should be plastic coated. The length of capillary shall be carefully selected and specified so that instrument can be installed as per requirement, since it cannot be stretched or spliced. Of the many mounting styles available for installing a bulb, the one generally recommended has a bulb with an adjustable union and bendable extension. The bendable extension is usually of smaller diameter than the bulb, thus reducing conduction error. The extension with adjustable union permits sliding the bulb against the bottom of its well to make solid contact and give improved thermal performance. Since the thermal sensing fluid extends from the bulb to the pressure element, it is affected by the temperatures existing everywhere in the system – bulb, capillary, and pressure element. 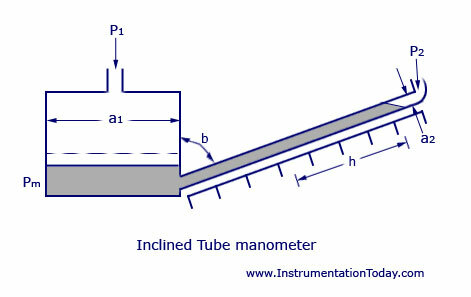 The temperature sensitivity of the fluid in the bulb is the essence of the measuring system; in other parts of the system, the sensitivity is a characteristic that may or may not cause significant error. Vapor-pressure systems, Class 2, are not subject to errors from this cause because the system pressure depends only on the temperature of the liquid/vapor interface, which is in the bulb; the volume of the bulb chamber is temperature-sensitive but to a negligible extent. For Class 1, 3, and 5 systems, errors of varying extent can be caused by ambient temperature. The need for compensation is a function of ratio of bulb volume to total system volume, length of capillary, ambient temperature, measuring range, and need for accuracy. Case compensation corrects only for variations of case temperature. Full compensation corrects for variations of the temperature of the capillary and case. 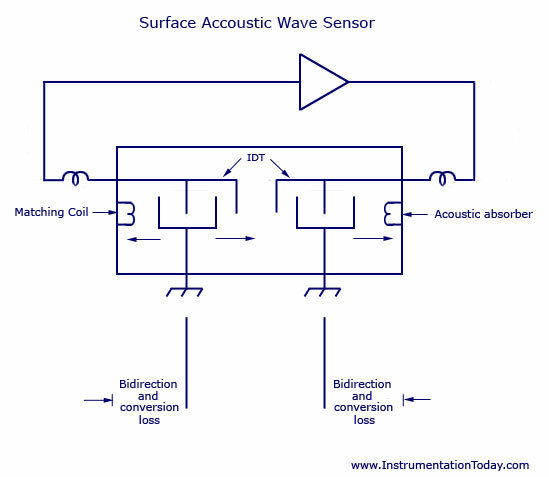 Case compensation is usually achieved by installing a bimetallic strip into the instrument case and attaching it to the pressure sensing element. Full compensation is accomplished by installing an auxiliary capillary without bulb parallel to the primary/main capillary and connecting it to the measuring mechanism. 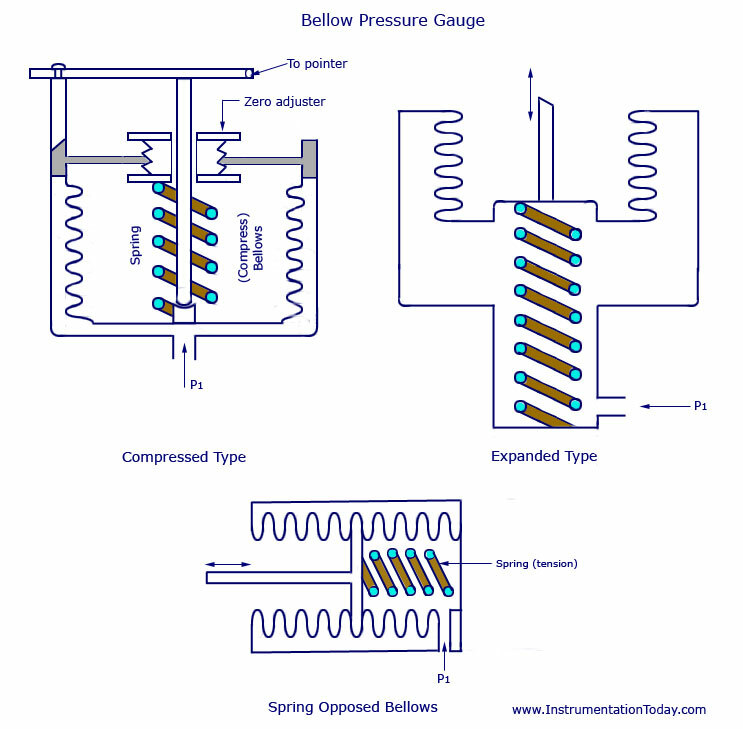 In as much as a filled-system instrument works through the medium of a fluid, it is subject to pressure variations, therefore zero-shift errors, plus or minus, occur merely by changing the relative elevations of the bulb and pressure element. The magnitude of the error is a function of the filling pressure, the type of filling fluid, the phase of the filling fluid, and the elevation offset, and it may vary from zero, for Class 2B, to large for some other classes. 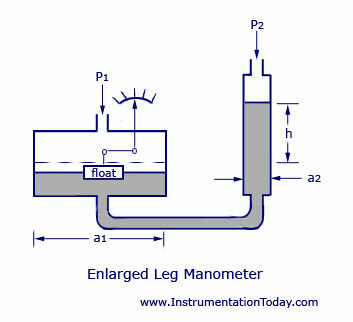 Reference should be made to Table 1 and manufacturer’s literature so that the specification for an instrument may include information about elevations, if needed, so that proper compensation may be incorporated in the instrument. It is best to avoid the need for head compensation, everything else being equal. 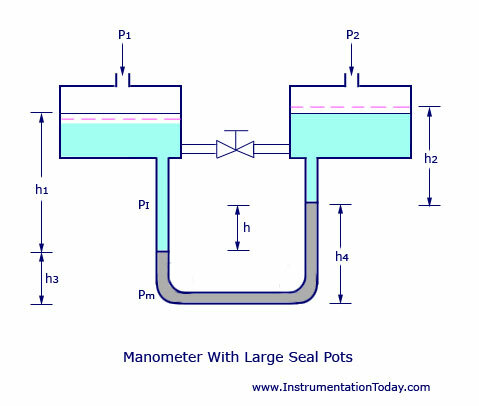 External pressure may cause measuring errors because the pressure element measures the gage pressure of the filling fluid. 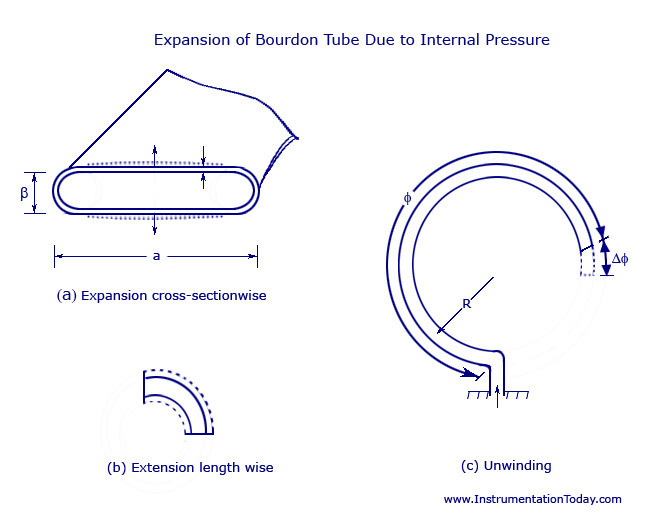 Barometric pressure change has negligible effect on the liquid-filled systems, Classes 1 and 5, which are at relatively high internal pressure. Vapor and gas systems, Classes 2, 3 and 4, are affected by barometric pressure change but the resulting error usually does not exceed 0.4 percent of span.